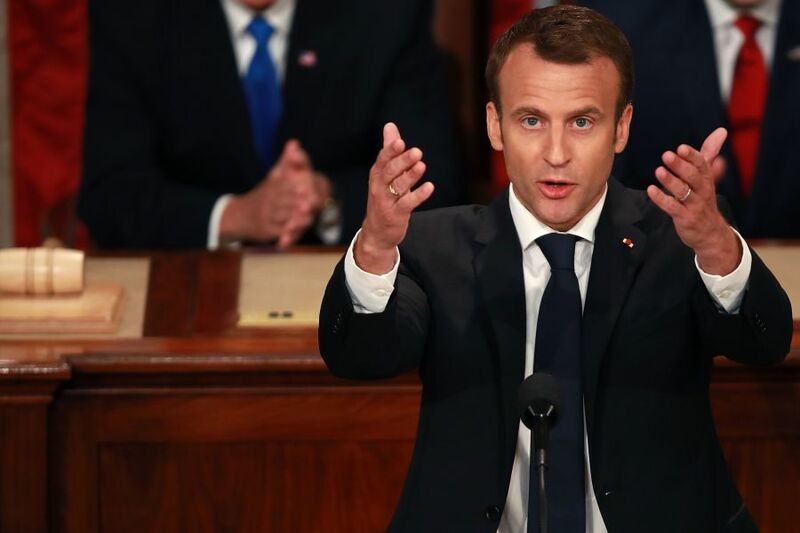 In wide ranging remarks, the President of France Emmanuel Macron addressed congress today. He said that one day, the US will come back to the Paris agreement, which Trump pulled out of last year. Macon said France will stay in the Iran deal — even if it’s not perfect. “We should not abandon it if we don’t have something more substantial instead. That is my position,” he told Congress. He also said “We must fight against the ever-growing virus of fake news,”Tackling “fake news” — hoaxes, rumors and other false claims spread on social media — has been a top issue for Macron this year.